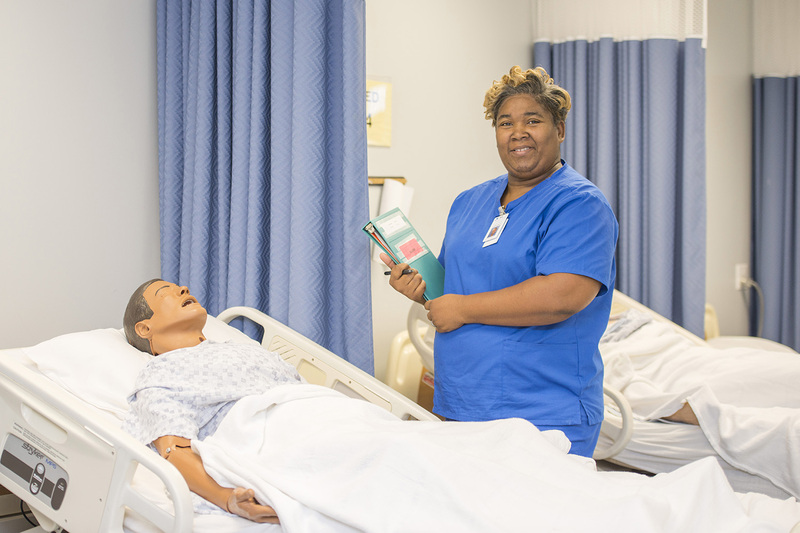 LaShonda Gamble had a lot of practice working with patients before starting the Kellogg Community College Nursing Program this fall. Gamble, 44, of Albion, has worked as a nurse aide in Albion and Battle Creek for more than a decade. She decided to enroll in KCC’s Nursing Program to she could perform more duties on the job, beyond what nurse aides are usually restricted to.